The air waves are full of many views as to what would happen come December 2019. 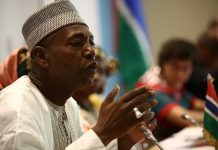 Many political animals and analysts are of the view that President Barrow must come down come December 2019 which will mark end of three years of the transition coalition government of Barrow. 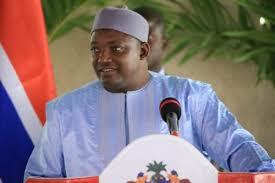 Is the Barrow government thinking in line with those political thinkers? However and what ever read the column: Attention Mr. President and draw your own conclusions. Mr. President what do you mean by saying you wrestled with some of your opponents in the 2016 presidential elections and you threw them into the ash dust making your victory very clear. But in the coming presidential elections you will threw your opponents in to the burning fire to proof your age over them. Attention Mr.President have you digest that statement properly? Mr. Prsident you recently uttered these words at Basse; whiles you went to lay the foundation of some development projects of the country in line with the National Development Plan(NDP). You must take note that the development projects are not your personal development projects but that of the government of the Gambia. Yes you can take credit but not a personal credit least you fall into the same trap of former president Yayha Jammeh who claims all developments to be his personal efforts. You are leading a coalition government of Seven (7) political parties and one independent candidate and your cabinet is a composition of these groupings. How then can you claim any personal credit for projects of the Gambia government? Mr. President I find it very difficult that your attention can so quickly sway from the three years mandate to another mandate. You are now talking of ten years or have you now forgotten that Gambians did not so quickly forget that you are to lead this coalition government for only three years no more no less? Mr. President can you be reminded that when you took over as the President of this government you have giving a lot of interviews and you are on record of saying “I am voted by Gambians to serve them and that I am their servant and will work for three years and preside over an presidential elections as an independent person” Have you forgotten so soon, please be reminded? Oh Mr. President are you just like former President Jammeh who told journalists at Dakar airport in 1995 when he was asked when he will hand over power to a democratic government and his response was “I shall be in office for four years” only for him to land in the Gambia and be confronted by journalists here and he said he never say that but only say he will be in office for years. Mr. President be informed that Gambia has decided and vowed that no one person can fool them again for a second time. Have you imagine what would happen next year this time Mr. President should you come to the end of the three year mandate of the coalition? You are beginning to contradict yourself as far as the presidency is concern. You are on record that you are stronger that Jammeh as you have more security on your side than him. Mr. President the Gambia is no longer anybody’s personal property and that they will decide their destiny by themselves. It is reaching this column that your deputy presidential adviser in the person of Doudou Sanno is saying that some people have to be beaten and others send to jail for what? Is he the Baba Jobe of your government? Mr. President that used to be former President Jammeh’s style; it cannot work for any president now but if you deny that give it a trail. A word for the wise is enough and have a happy weekend until next Friday.